Ziegler rugs are a range of heavy weight & durable traditional rugs collection. Made using advanced soft polyprop, which give the much sought after wool look. 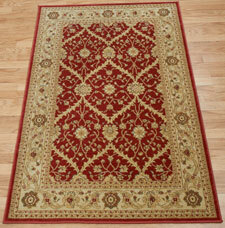 The Ziegler rugs are also soft to the touch and are offered at great value. In addition, the rugs are colourfast, antistatic and easy to maintain as the yarns repel dirt.